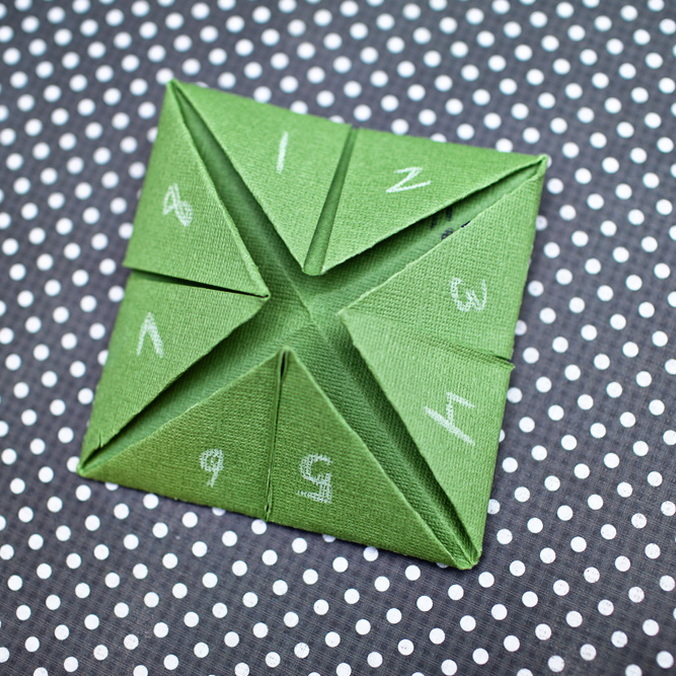 St. Patrick's Day Fun: Four Leaf Cootie Catcher! 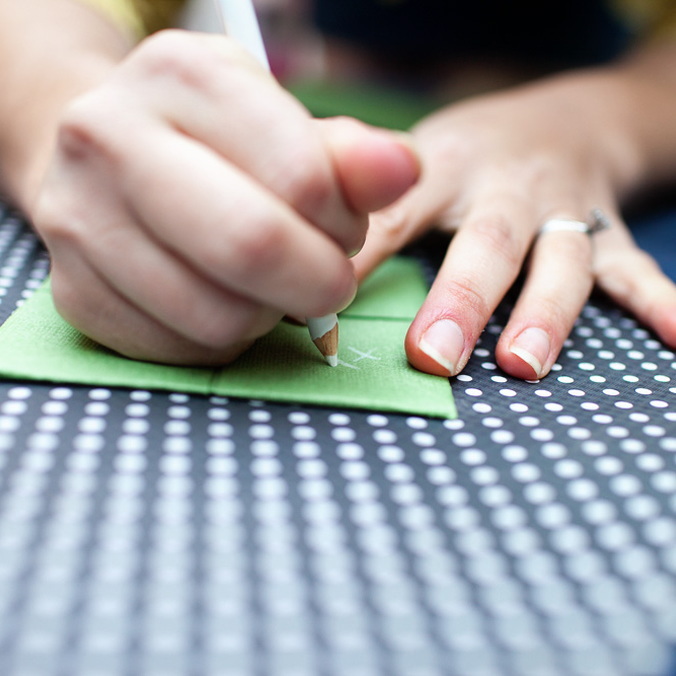 All that is needed for this project is a single sheet of green paper, scissors and a white crayon or pencil. 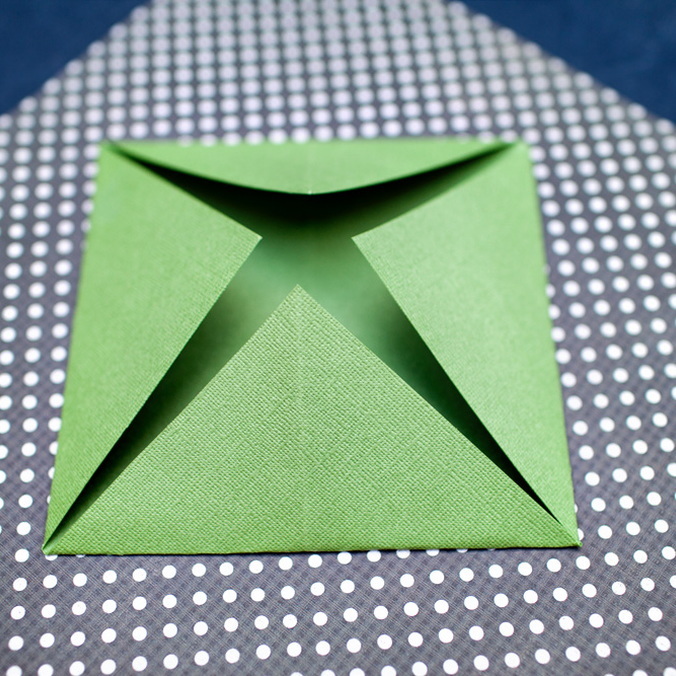 Fold your paper corner to edge and cut off the remaining strip to leave a square. 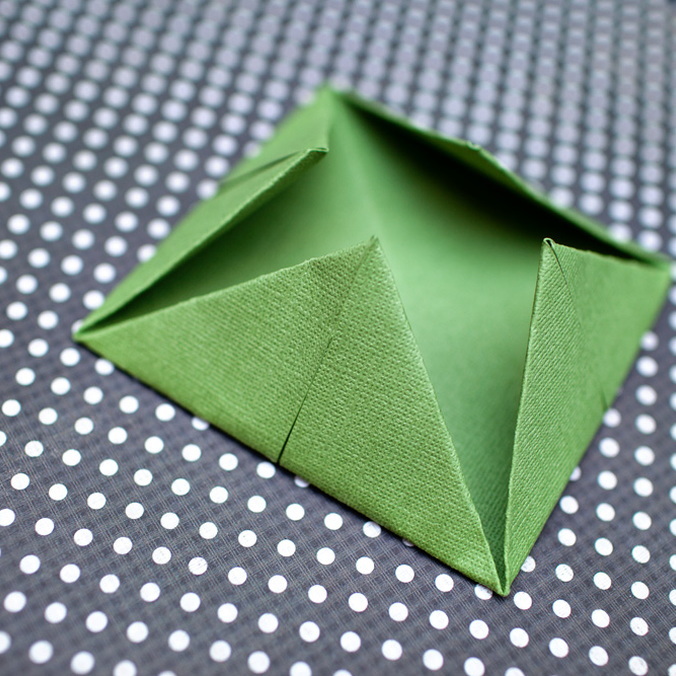 Next, fold each of your four corners into the center of your sheet and crease. 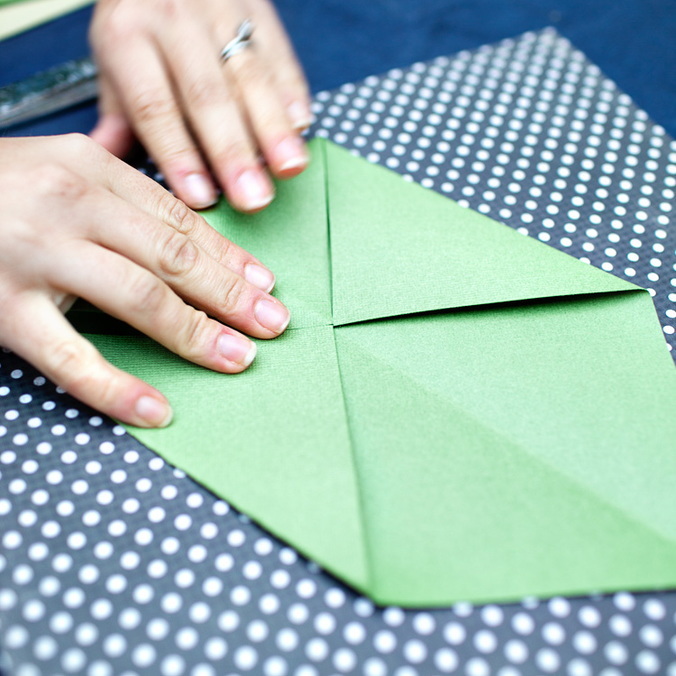 Turn your paper over to the other side and fold each corner over again and crease, this will leave you with the basic shape of a cootie catcher (which you may remember from younger days!). 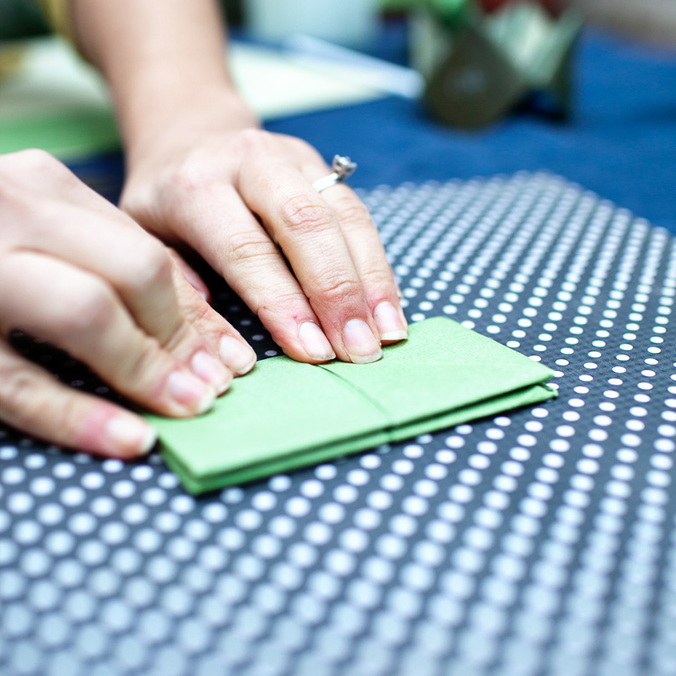 Take the pointed single ends that stick of the top and using scissors round your points down. 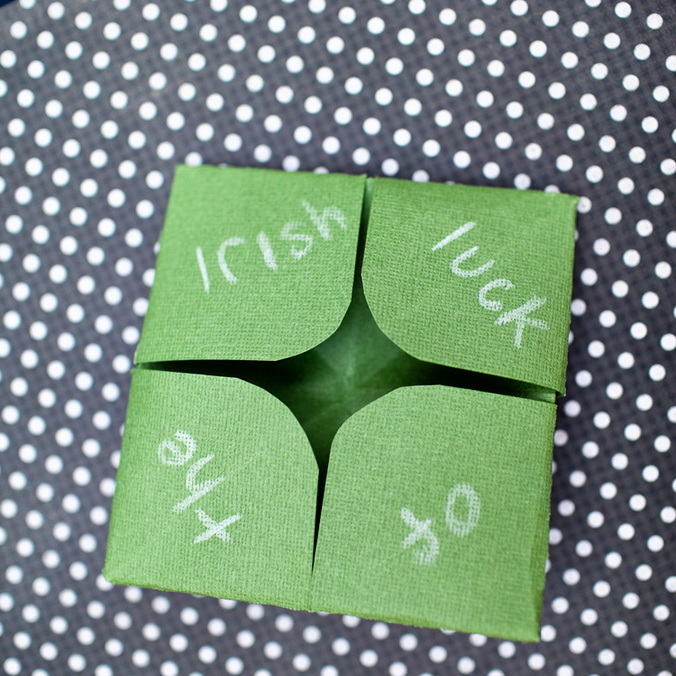 Once all four points are rounded you will be left with a paper four leaf clover! 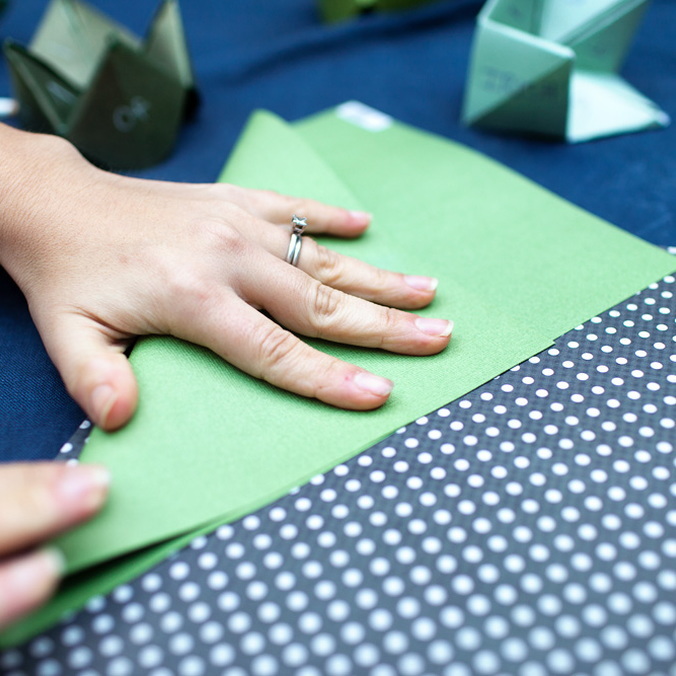 To make this project extra special, write in "Luck of the Irish" on the top outer flaps, then number the inner flaps. 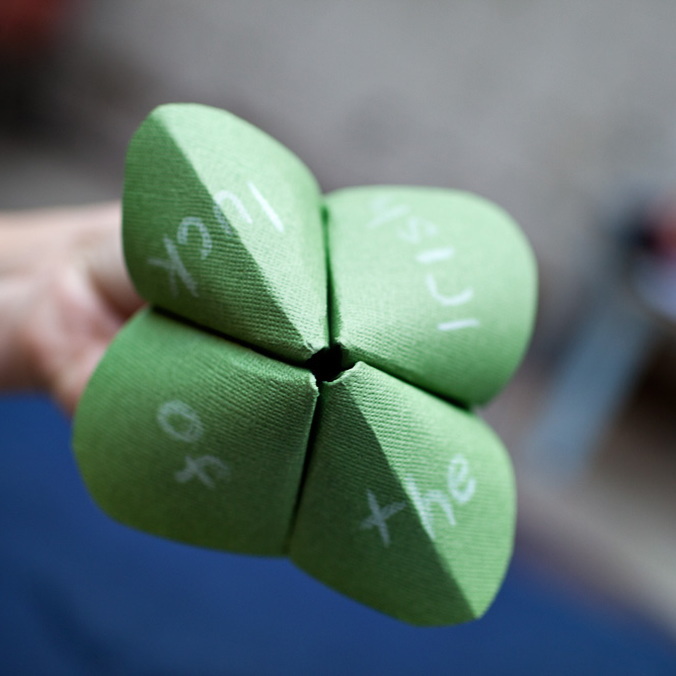 In the interior of the catcher, write in four different lucky treats, ie. 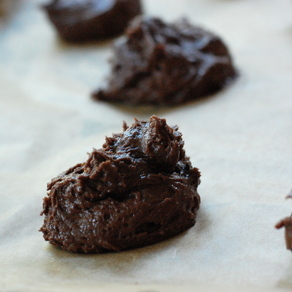 "so lucky we get to eat ice cream!" 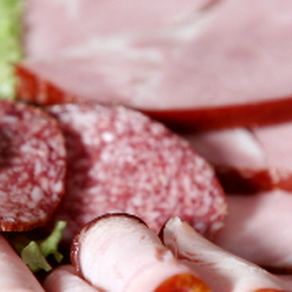 Spend a few minutes playing the game with your kids and treating them accordingly. 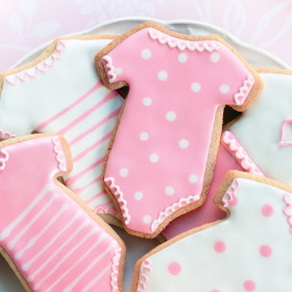 This would also make a fun activity for a St. Patrick's Day play date or party!